We had a great cross-country trip to KS, KY, and VA before school this year! It started off with a ‘Sour warhead eating contest’ in the car! Hahaha! Of course, on a trek to see ‘the ARK Encounter’….we see a rainbow! God keeps HIS promises!! the bus ride to the attraction was half the fun! this is the back side of the ARK - it’s huge! This is the ‘cropped in’ photo - it’s pretty….we loved being there with Papa Don and Grandma! God gave Noah specific instructions, one was that it have only ONE DOOR…see it, above us?! this is that same door! A beautiful invitation….a symbolic picture of JESUS! John 10:9-10! ‘crash camping’ in the motorhome was exciting…Pa and Ma are very patient and generous individuals!!! 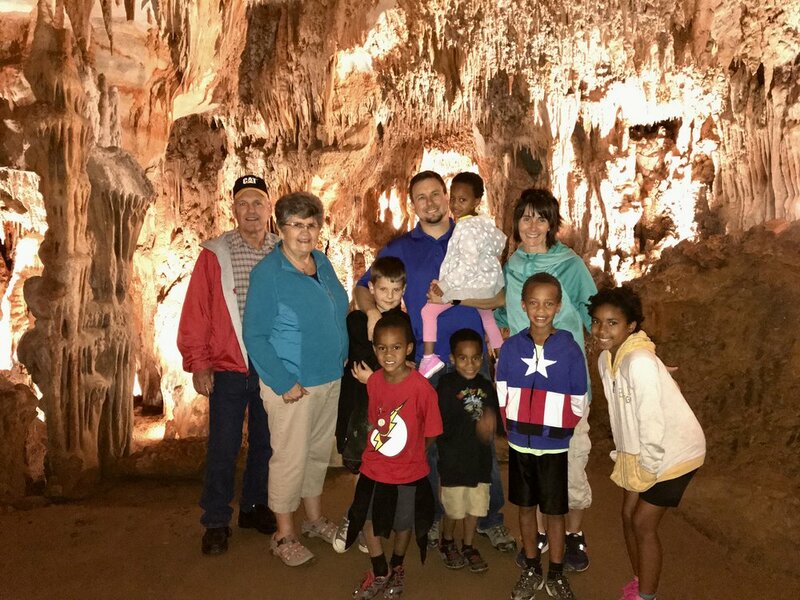 and then Jake and Sierra’s wedding in VA with a cave tour (ta boot’) was the icing on our trip!